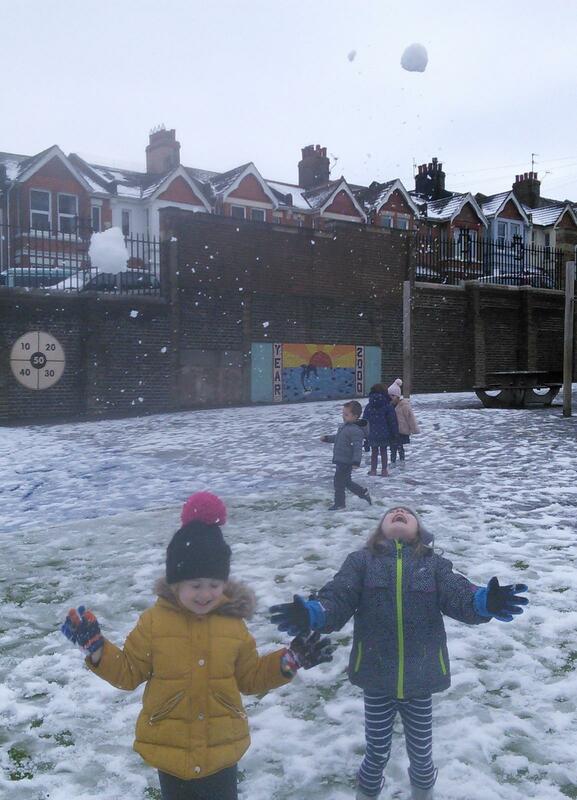 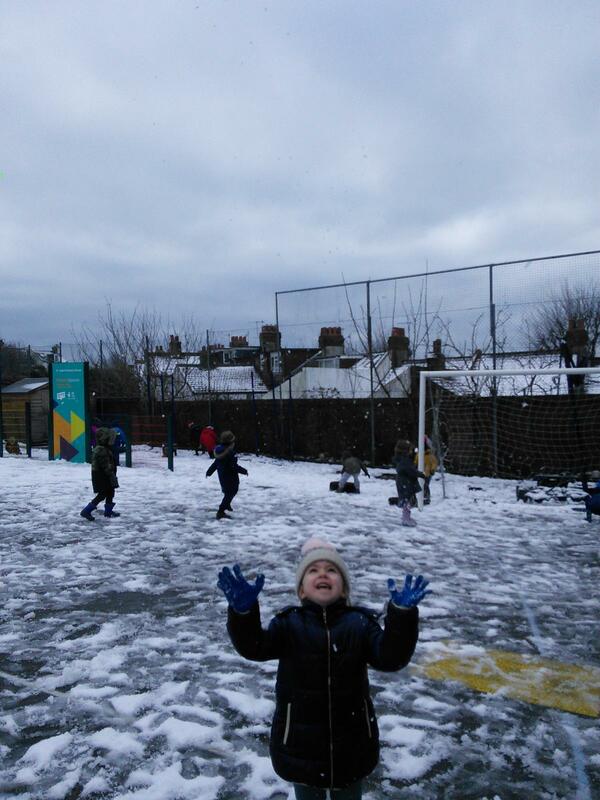 We had some very excited Reception children today due to the snow. 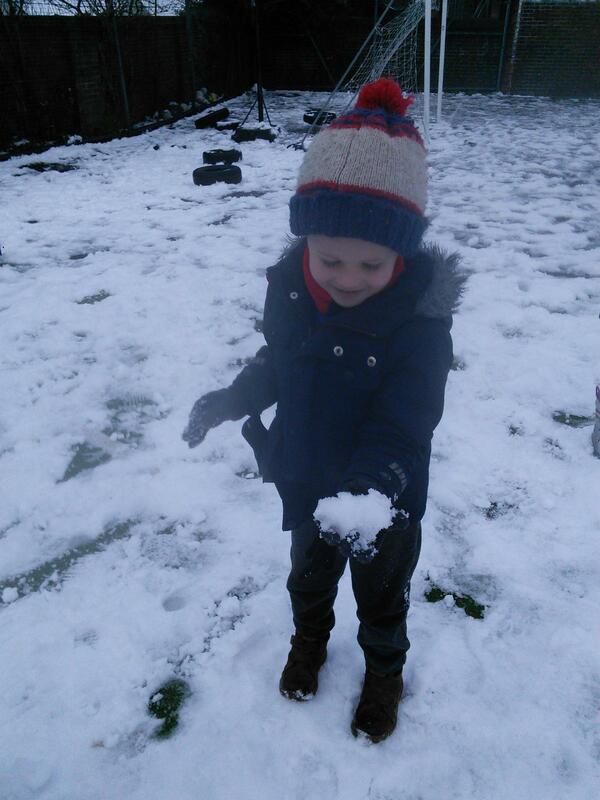 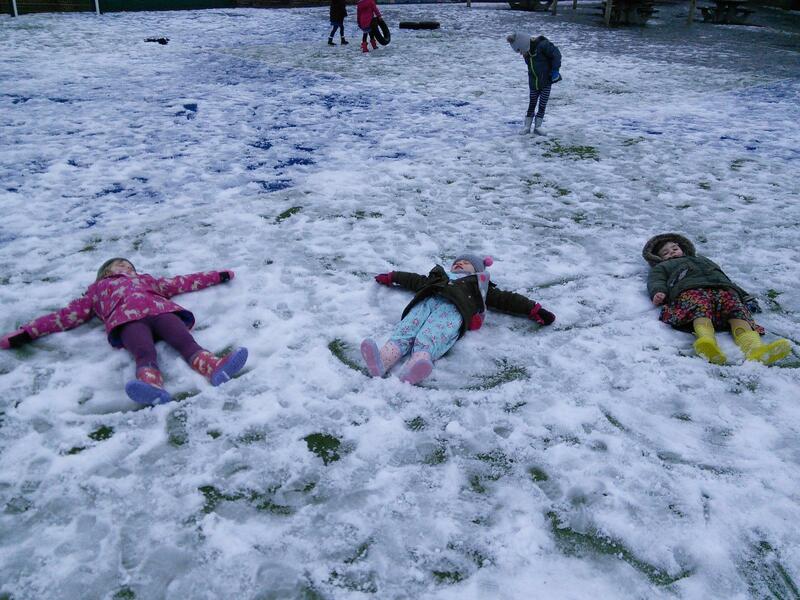 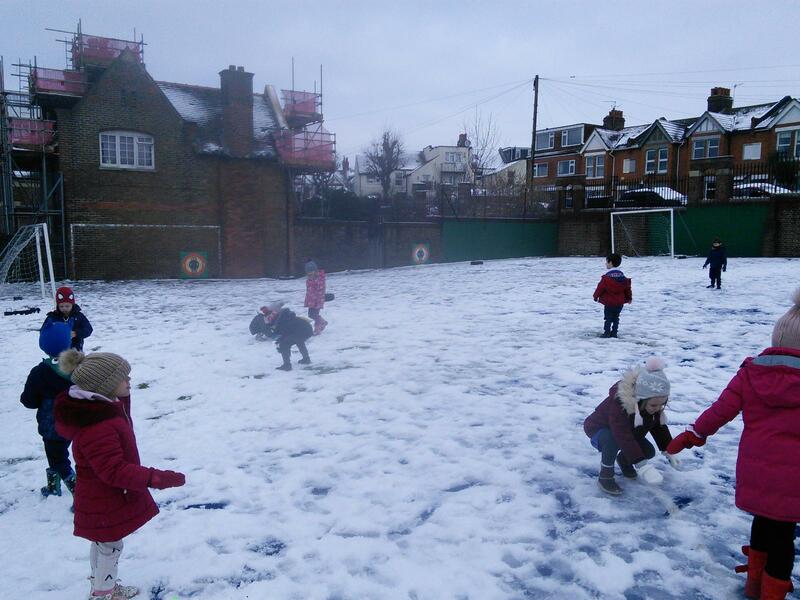 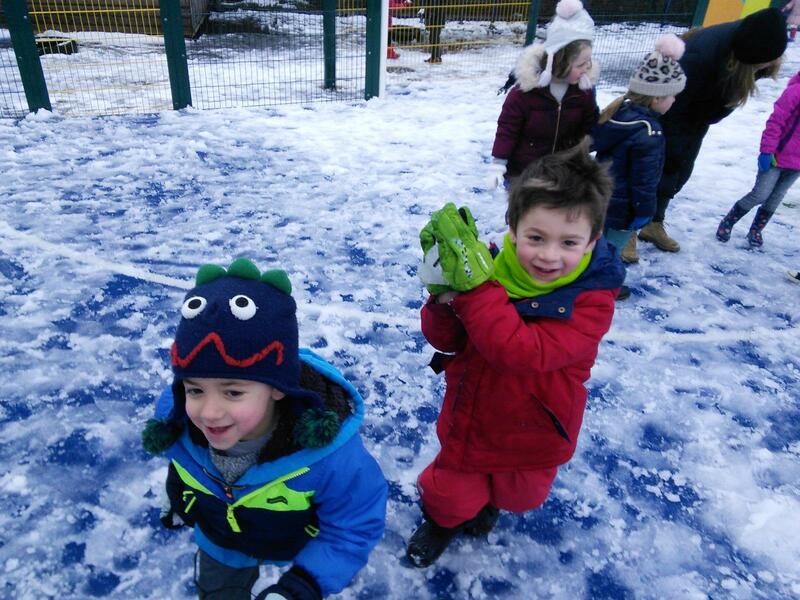 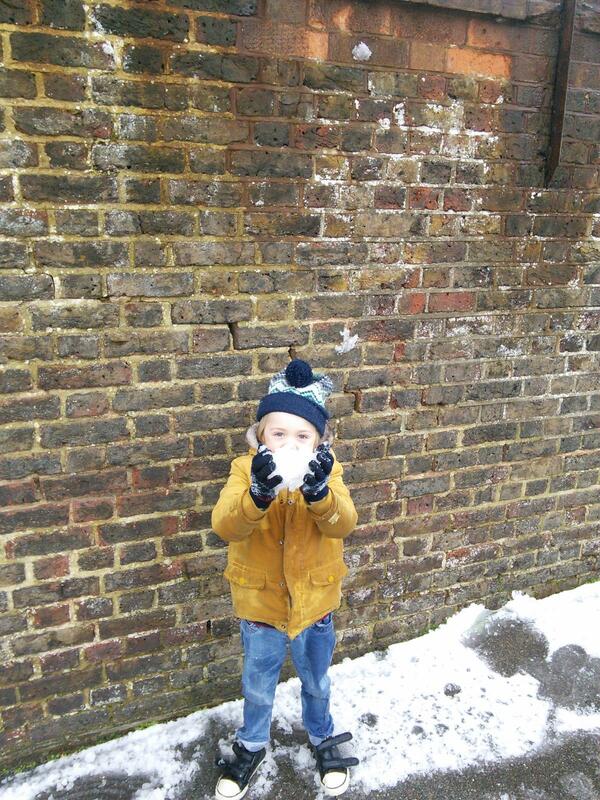 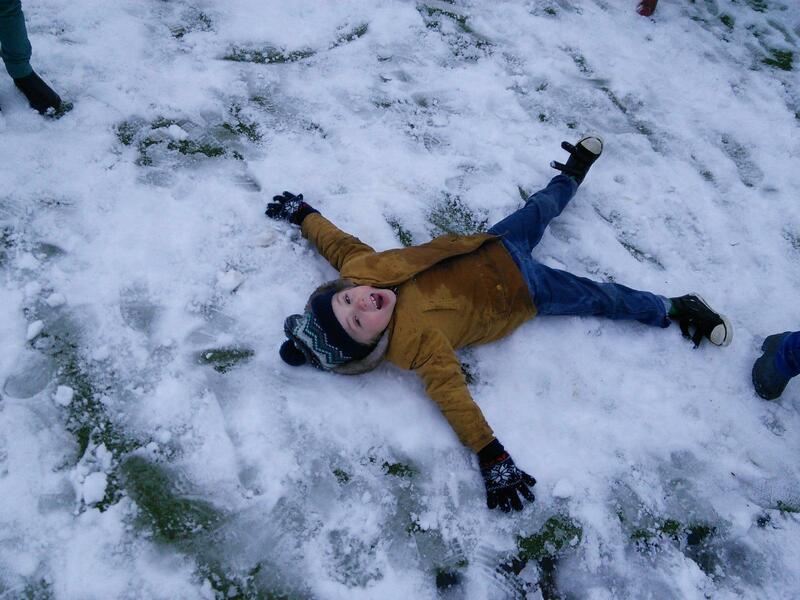 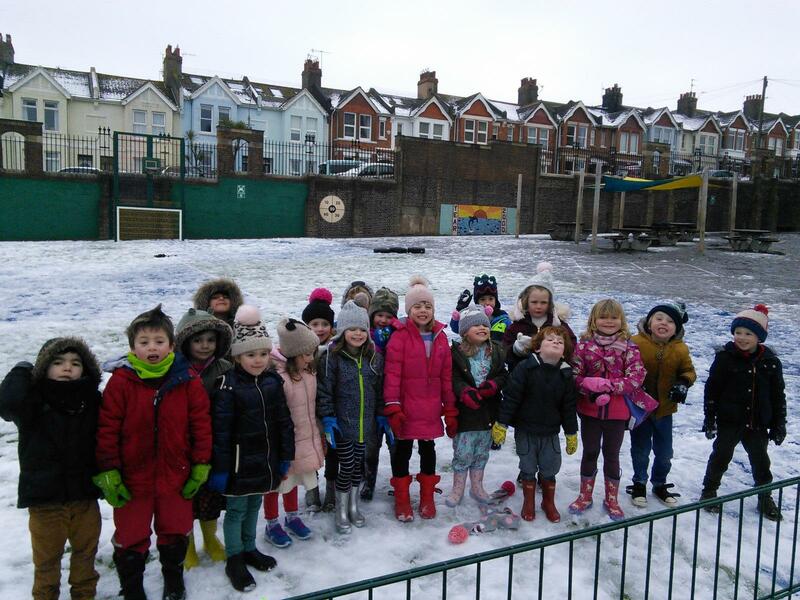 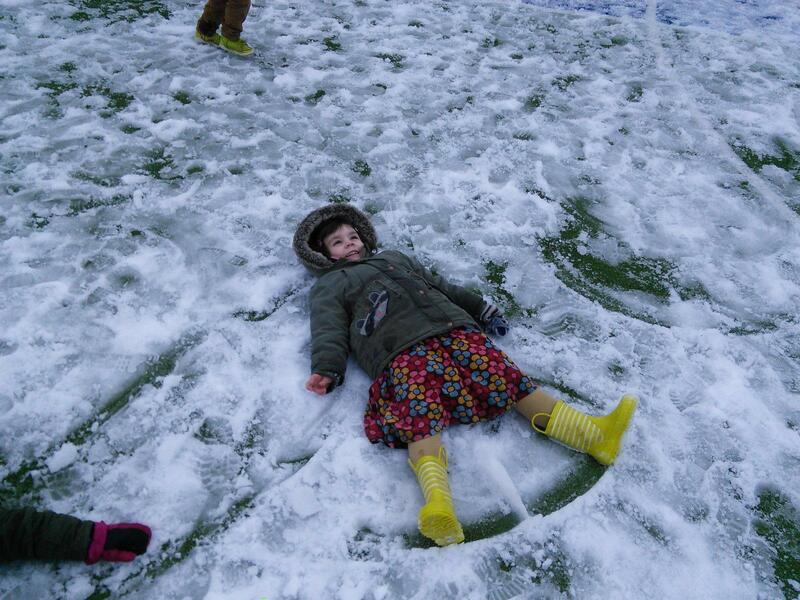 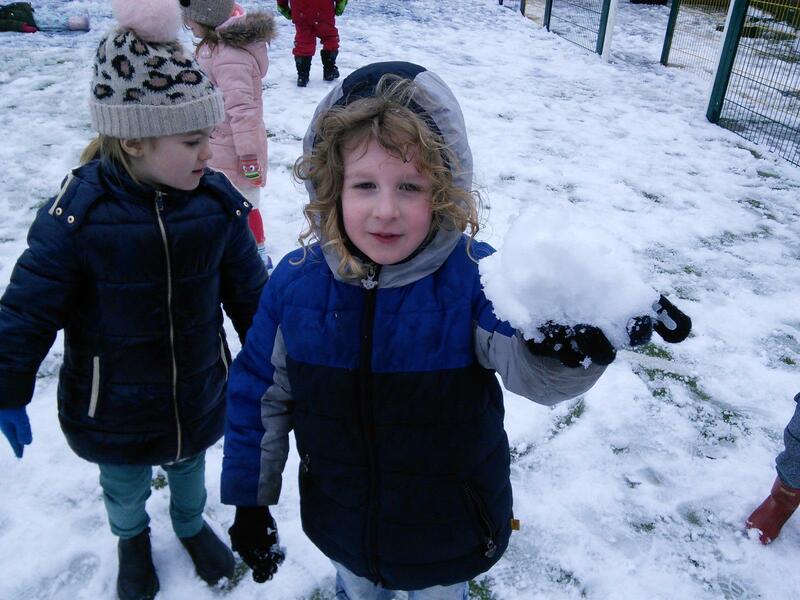 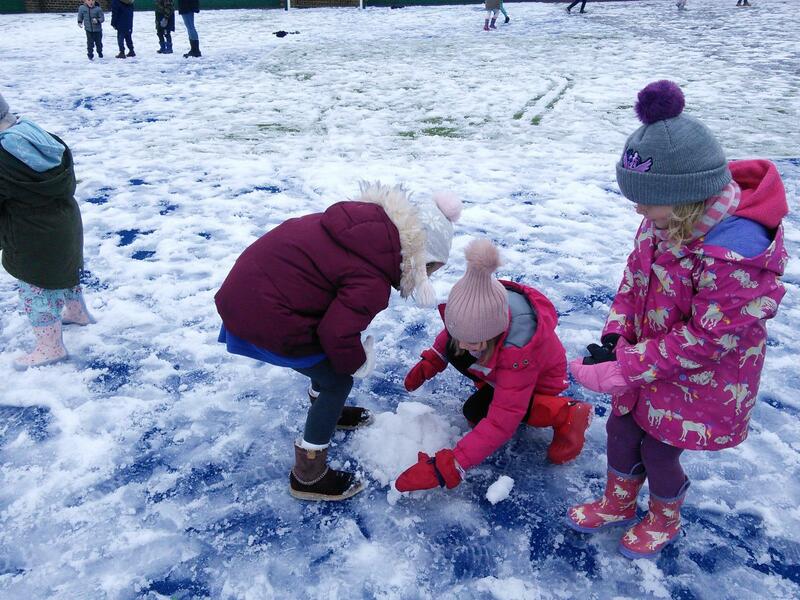 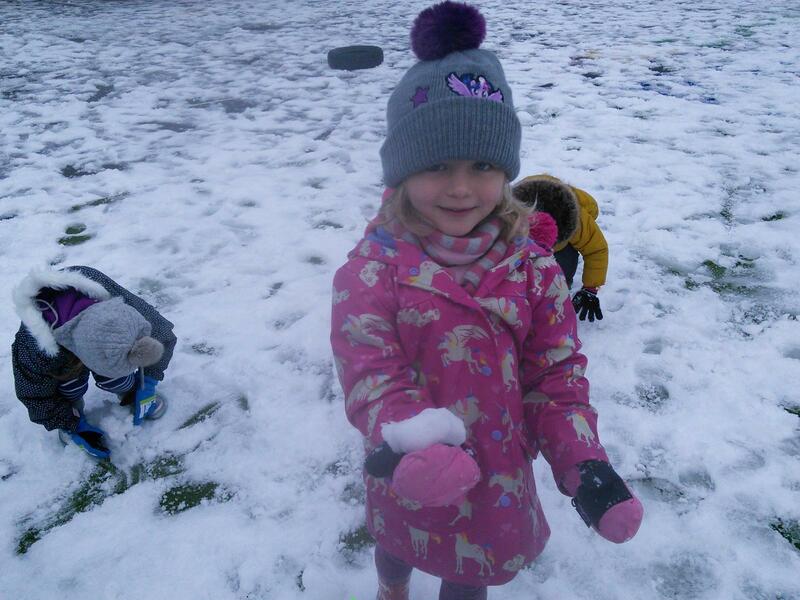 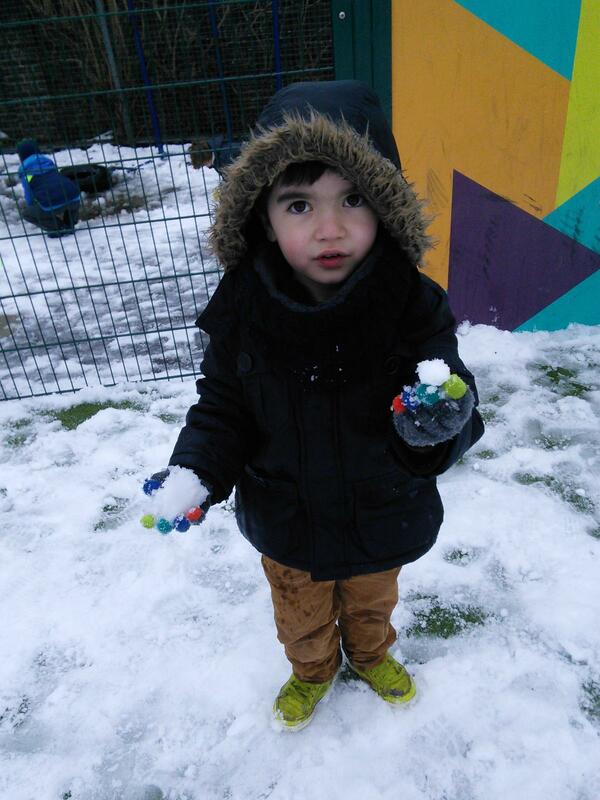 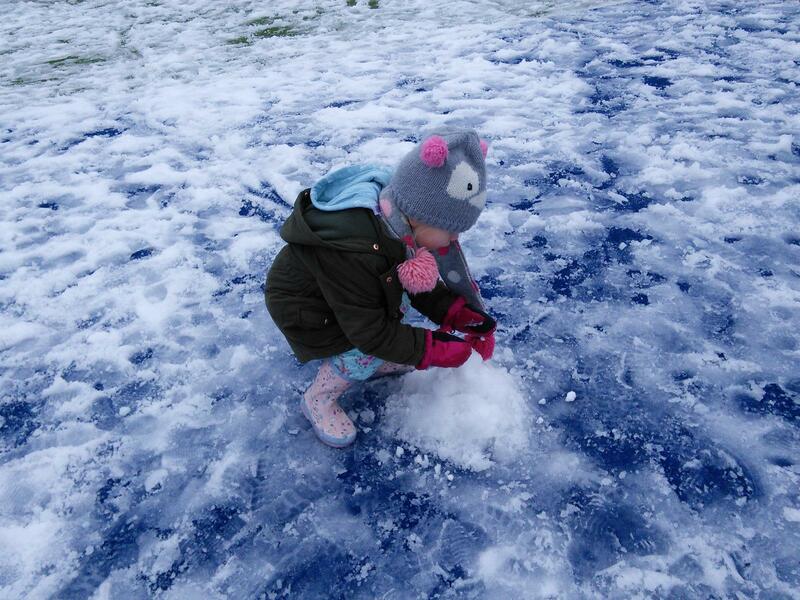 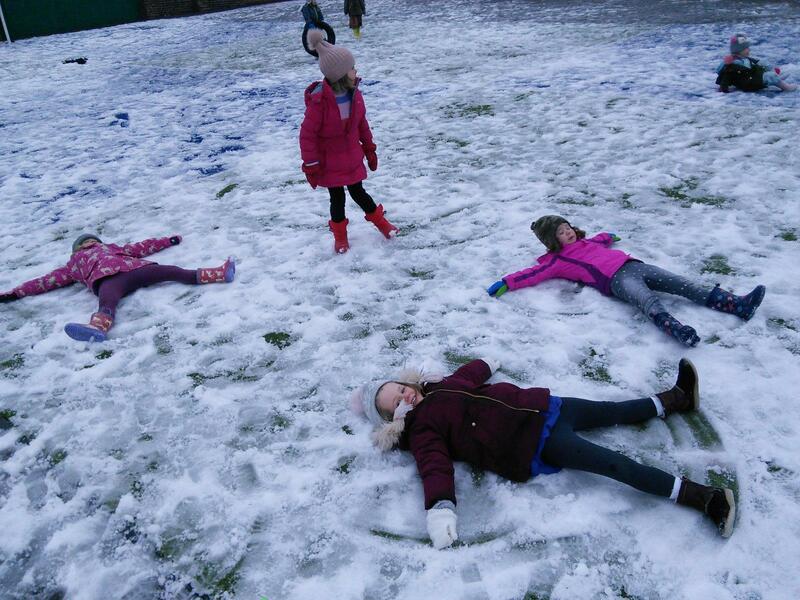 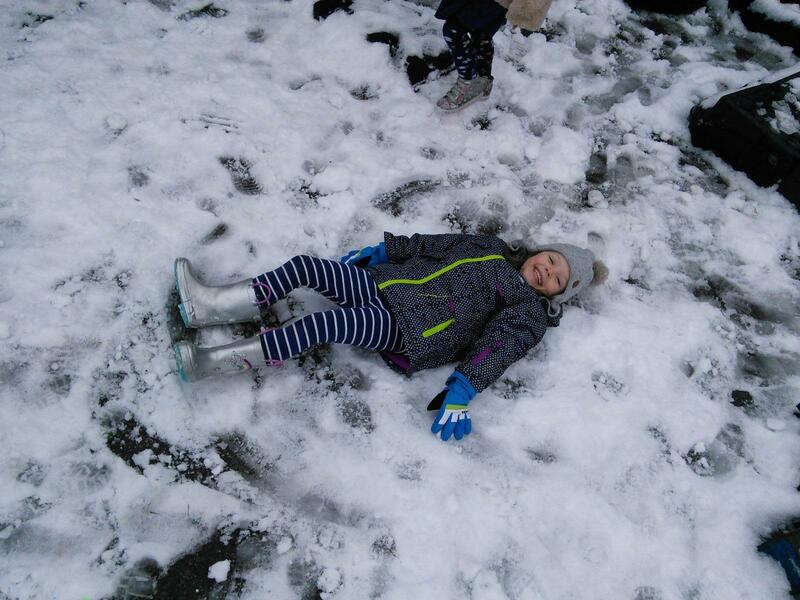 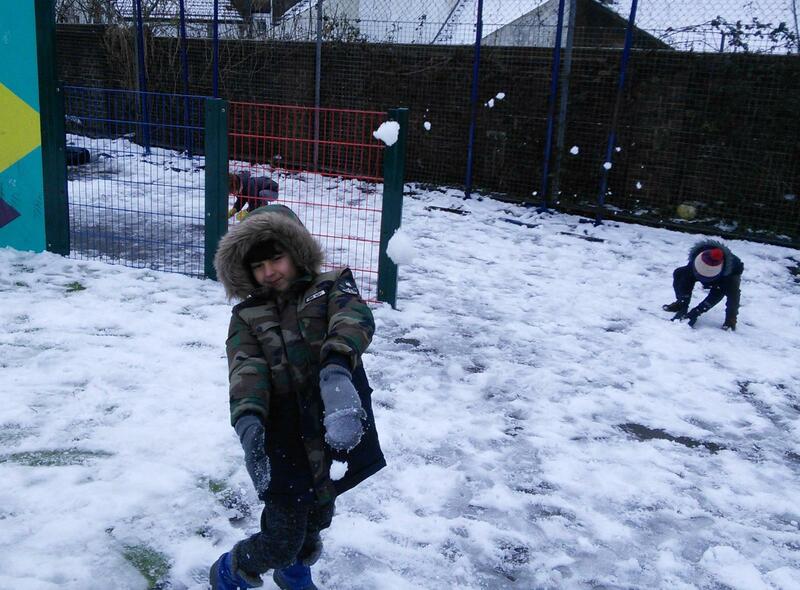 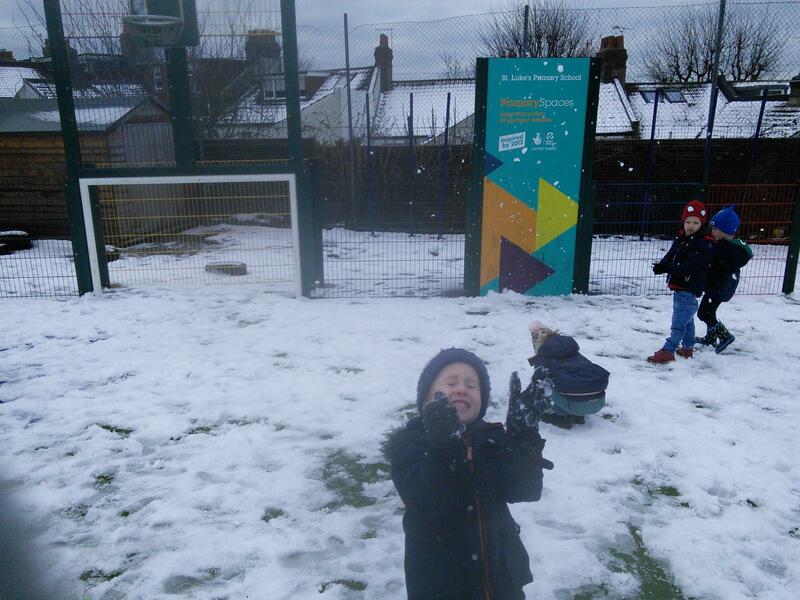 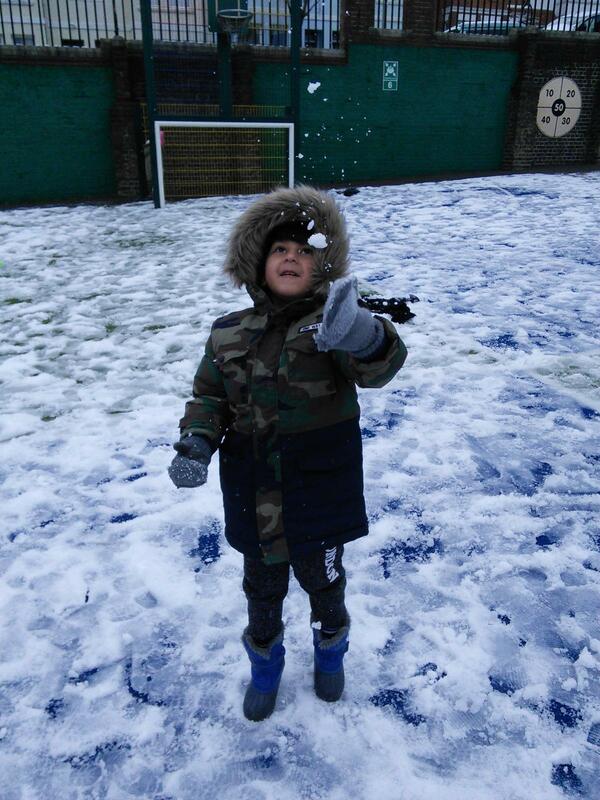 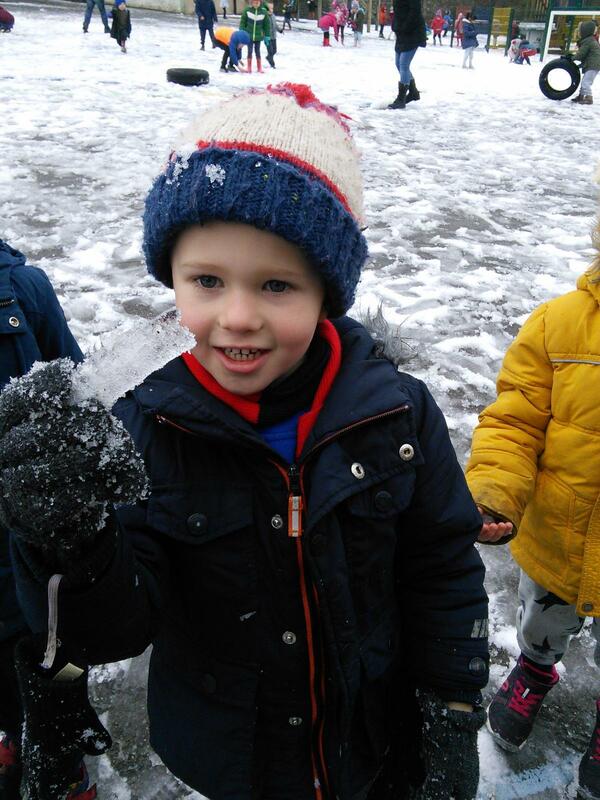 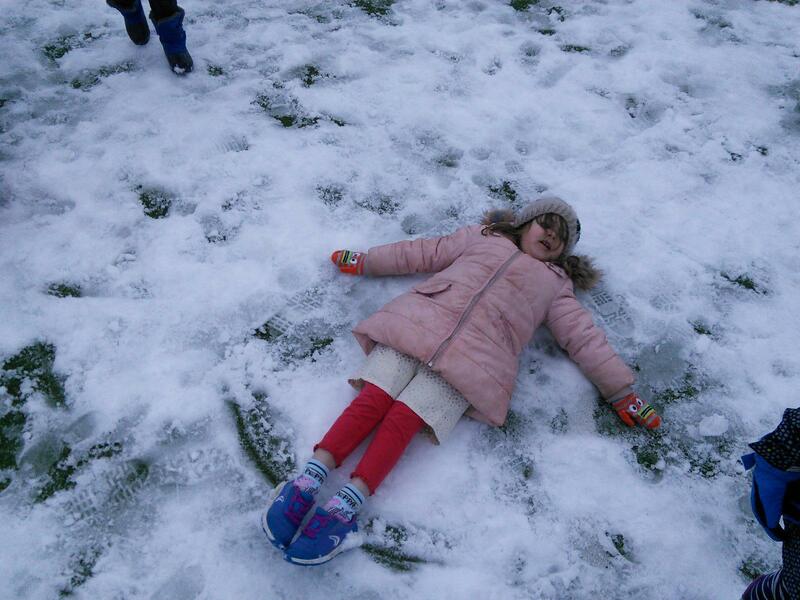 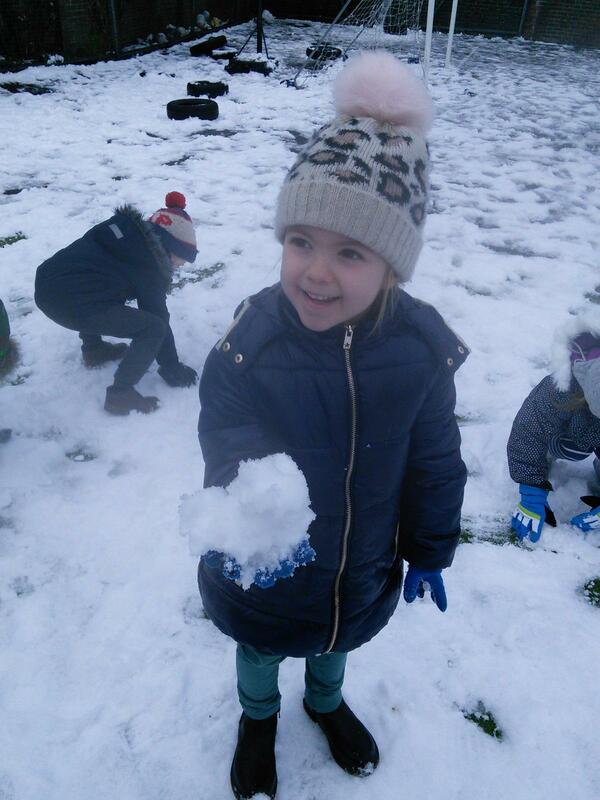 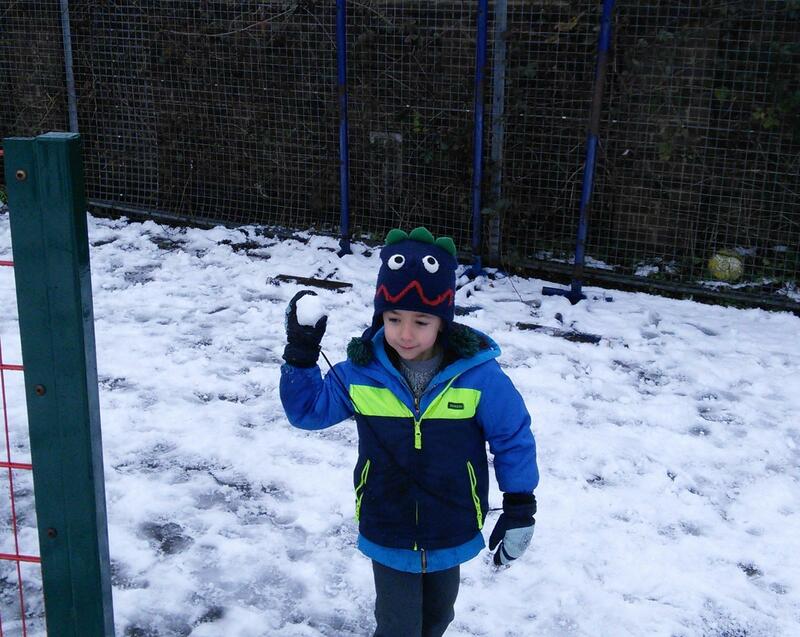 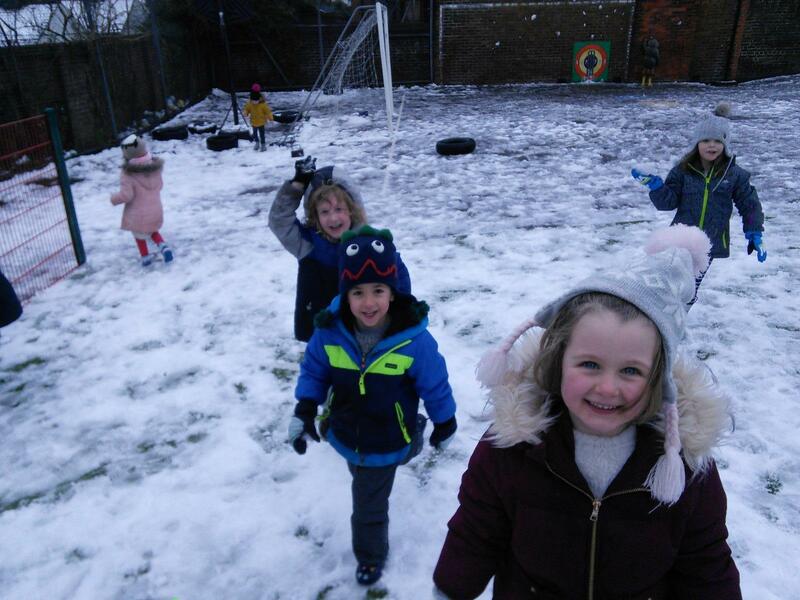 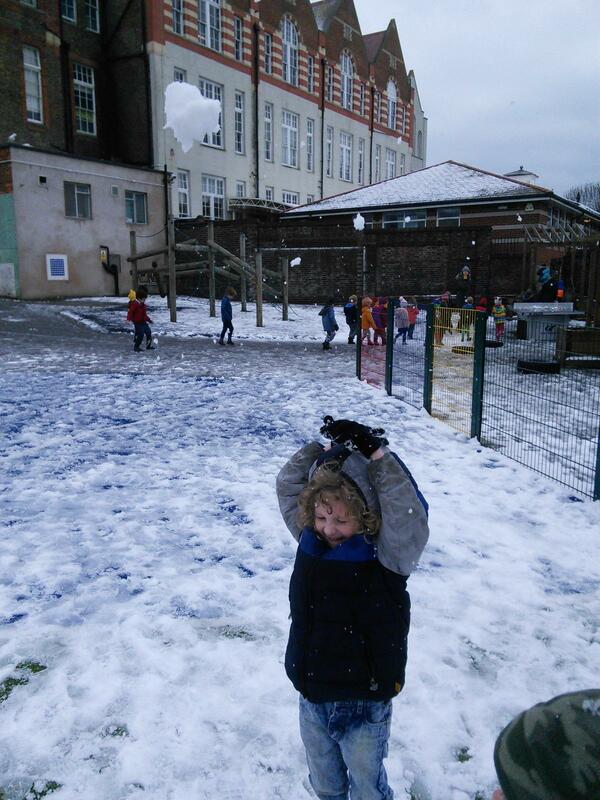 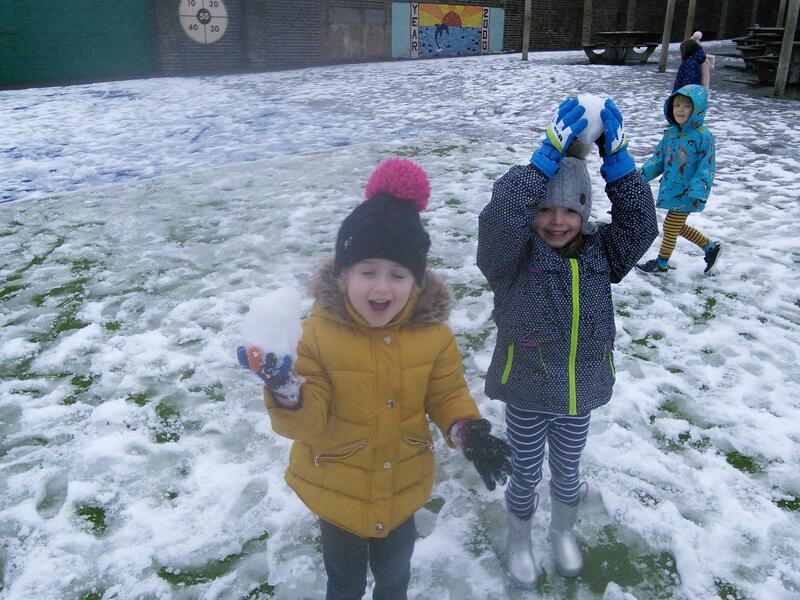 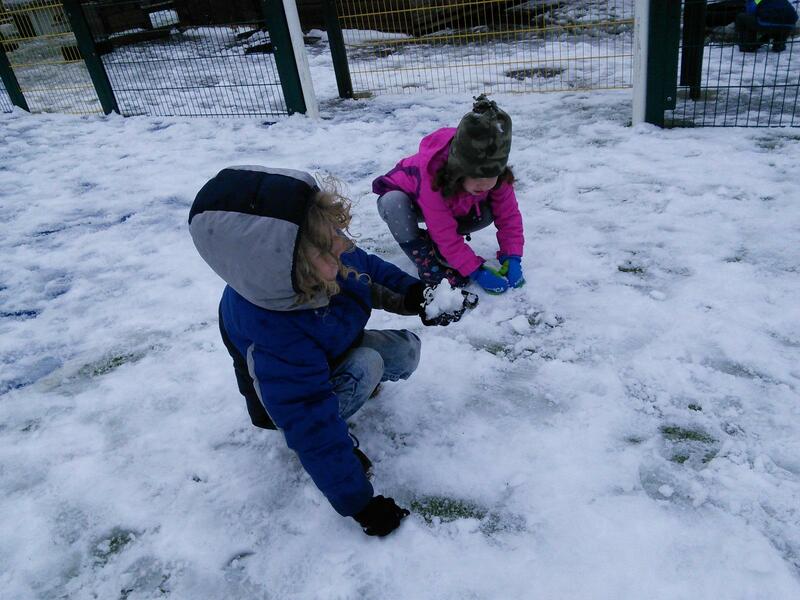 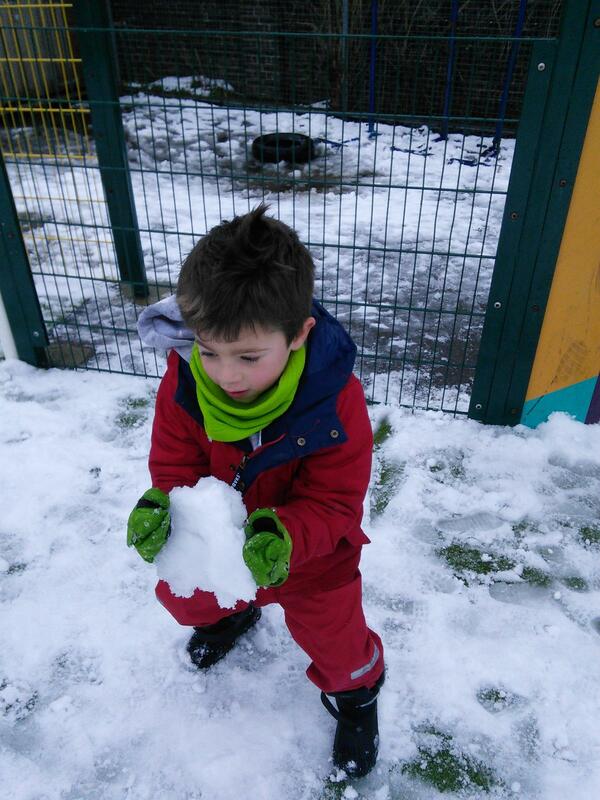 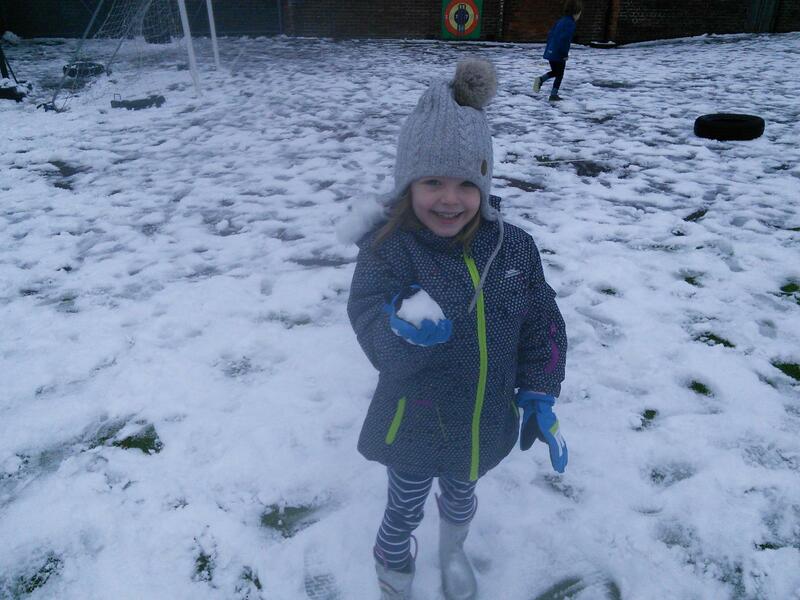 We enjoyed playing in the snow together, making snow angels, mini snowmen and throwing snow balls. 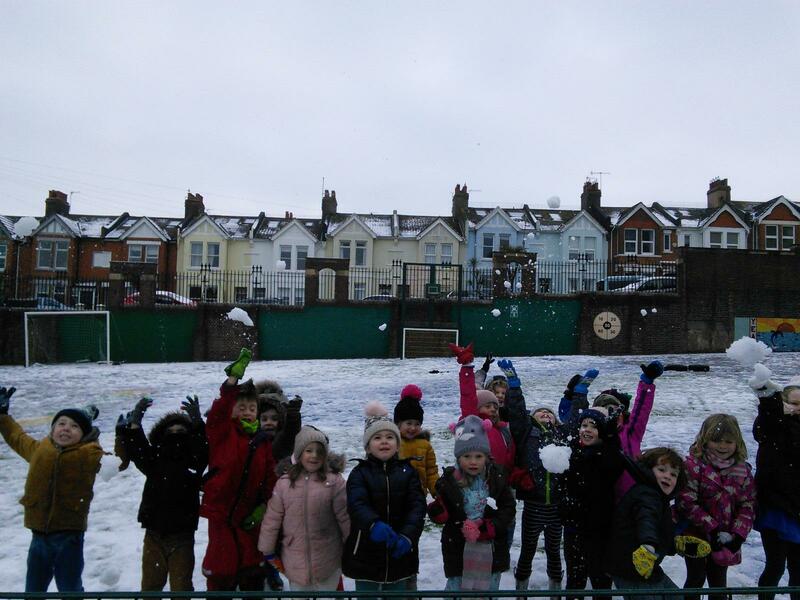 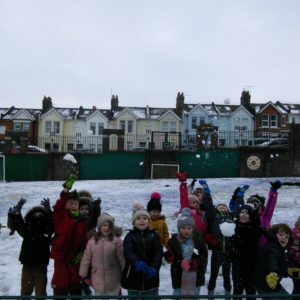 Although the Teachers and TAs were outnumbered during our snowball fights! 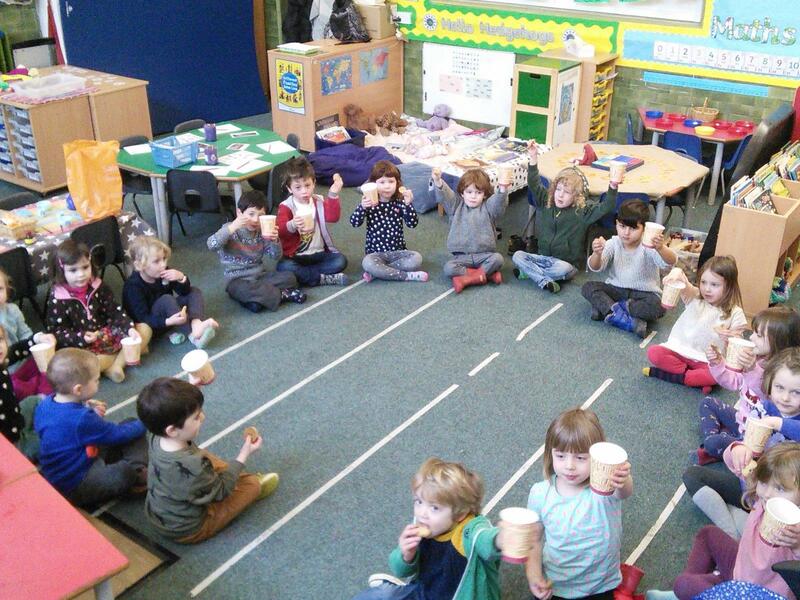 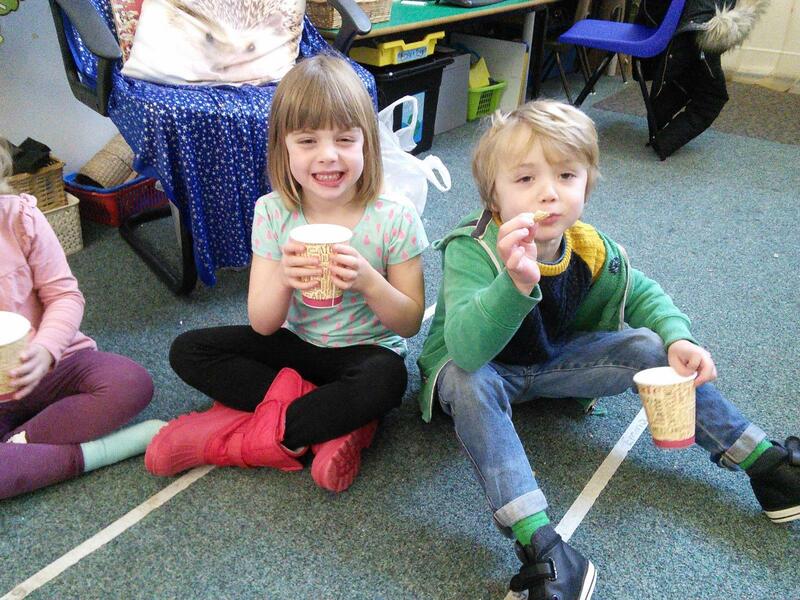 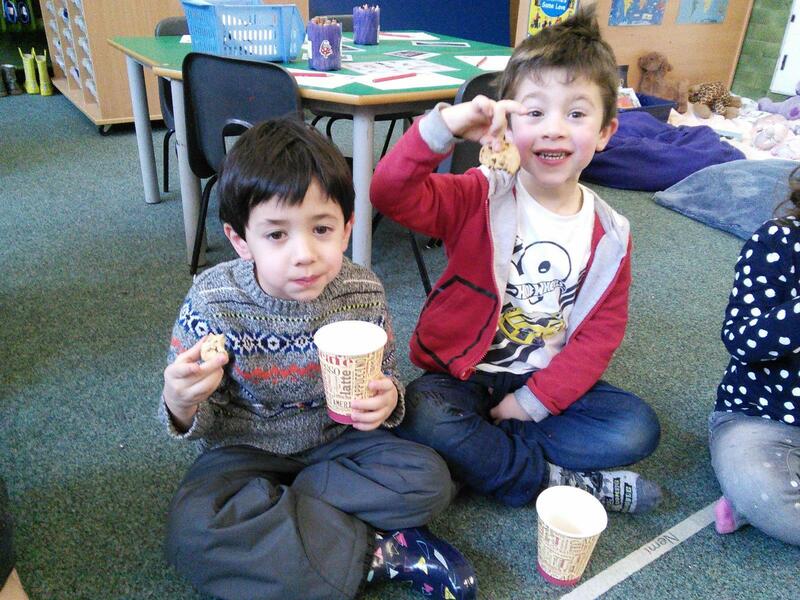 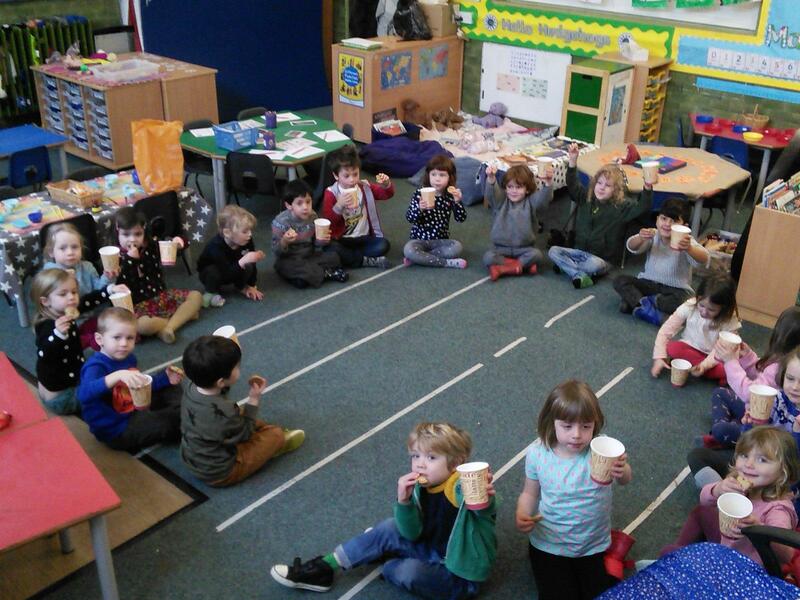 After our fun in the snow we enjoyed a cup of hot chocolate and a cookie each to warm up.